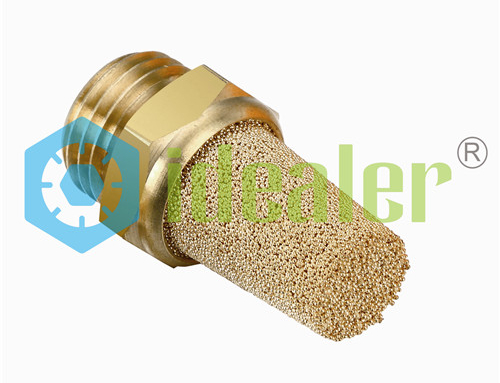 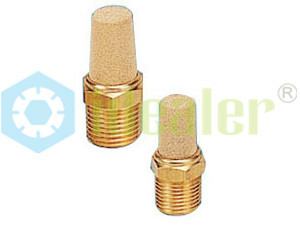 Pneumatic Muffler: Pneumatic muffler/filters utilize porous sintered bronze directly bonded to nickel plated steel pipe thread fillings to diffuse air and muffle noise from the exhausted ports or valves, cylinders and air tools. These Units offer a combination of small size with the greatest possible sound deadening qualities to reduce exhaust noise to acceptable levels within OHSA noise requirements. 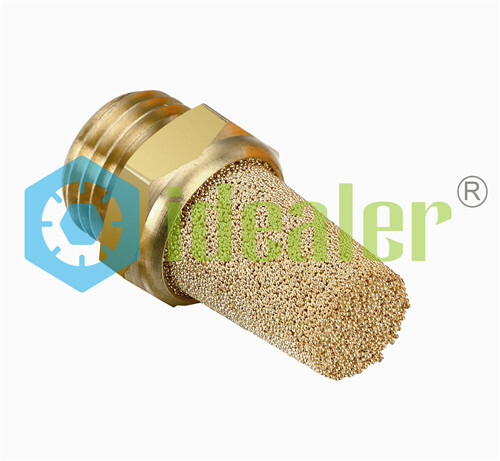 In addition, these units are used as filters for gasoline, oil and air. 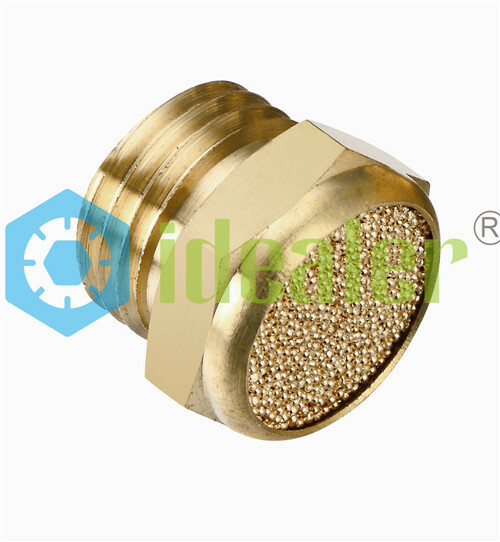 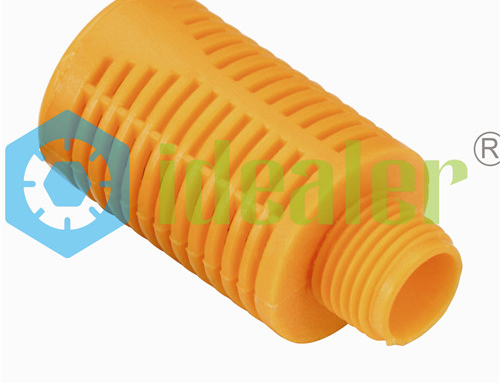 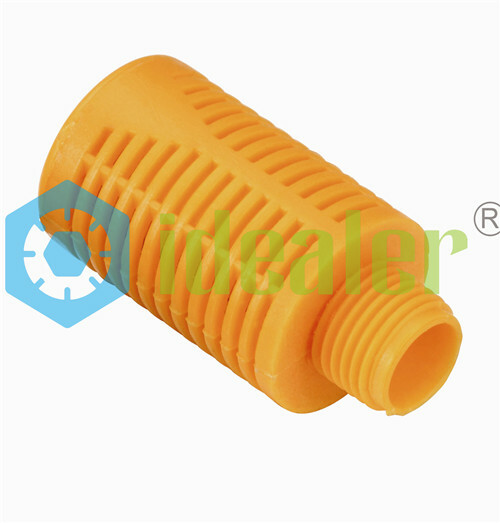 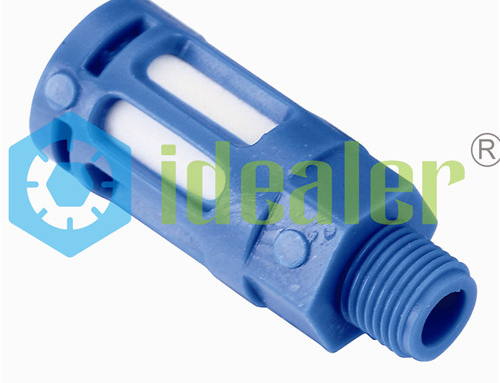 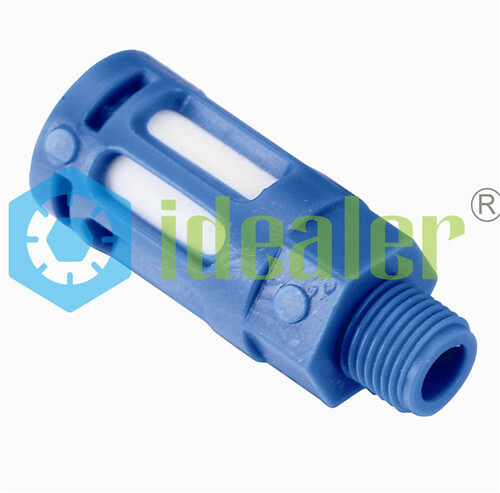 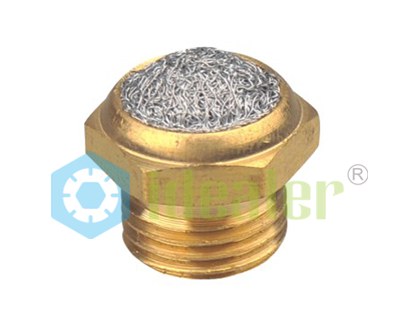 Standard unit contains a 40 micron element, and 20 or 90 micron units are available on special order.